1956 Map of Hayvenhurst to Fulton, Mulholland to slightly North of Burbank otherwise known as my area of greatest historical expertise. Noticeably absent from this map is the 405 freeway. 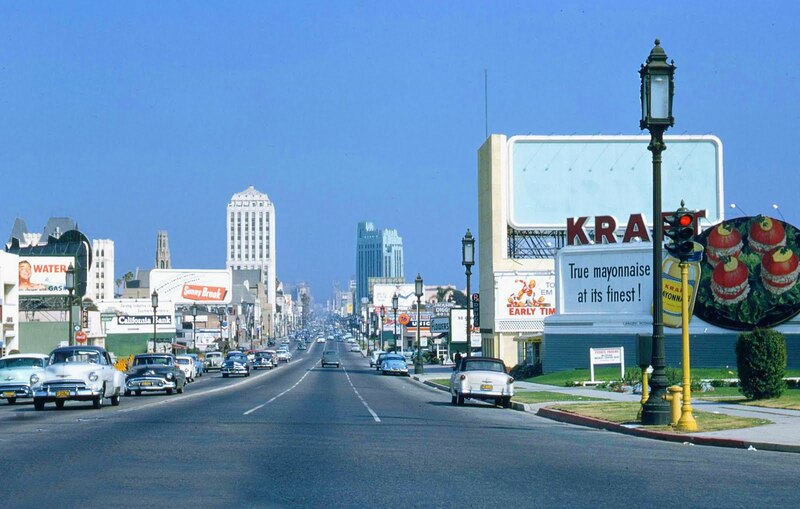 The 101 is Ventura Boulevard. Stars denote schools. There is a large plot of land at Magnolia and Fulton where Milikian Junior High (my alma mater) was built in 1959. Woodman Avenue Elementary School is evident Southwest of Riverside and Woodman where Fashion Square now sits. A whole host of streets off Woodcliff such as Lisa do not exist, nor does the entire Casiano area where Stephen S. Wise (now known as Wise Temple), American Jewish University, and multi-million dollar homes sit. Countless streets do not yet exist in Encino such as the Steven Drive area. Dixie Canyon Avenue in Sherman Oaks goes through to Mulholland. The Sherman Oaks post office appears on Ventura Boulevard before Kester where it was until the early 1980s until the new one was built on Magnolia and Kester. Fab’s on Van Nuys Boulevard is actually the original Sherman Oaks post office. 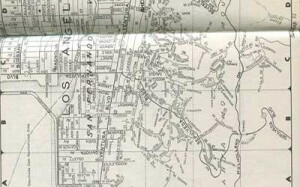 If you have any questions about this map, or what was in any of the spots on this map dating back to 1900 or earlier, feel free to contact me for a free expert opinion in Southeastern San Fernando Valley history.